Yesterday I was in the front yard trimming my Zinnias back so new growth could come in. There I was trimming, just minding my own business. I felt a little tickle on my right upper arm and figured it was probably a fly or mosquito so I did what I always do… I lightly shook my arm to encourage the bug to fly away. About four seconds later, I felt a strong pinch in my underarm. The pinch quickly turned to a slight burn and then BAM… FIRE! 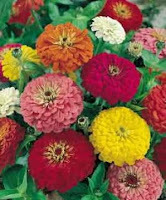 I screamed at the pain, threw all my stuff down and jumped away from my Zinnias as I realized I had just been stung by a bee. The last time I remember being stung by a bee was when I was a sophomore in High School and I don’t remember it being anywhere near this painful. I ran inside, had my husband look to see if the stinger was still in there and then put ice on it immediately. I felt like such a pansy as I sat enduring the pain of this fiery sting for over four hours! I could not believe how painful it was. Perhaps it was because of the tender place he had gotten me, the underarm – or maybe I just am a pansy. Pollinate my underarm… haha, I made myself laugh. I was done though. That was enough bee talk. May you rest in peace little bee, little dumb bee. I’ve been in recovery for four and a half years now and in that time I have met a lot of different people who are just like me; struggling with self-control, struggling with learning how to make good decisions, struggling with their trust in others and in God. I’ve had many people come and walk beside me to show me the way they did it, to help me think straighter and remind me to turn my face upwards to God first instead of last. After awhile, I started to walk beside others and show them the same things…how I started the process by becoming teachable, how I began to learn to make better decisions by creating necessary accountability and giving them the reminder that God is right there ready and willing to be our first choice for help and answers. I moved forward into sponsoring others, leading meetings and even helping plant an entire recovery ministry… all the while not realizing I had lost my focus and I had developed an unhealthy approach to how I could help others in recovery. Essentially, I had become just like the dumb bee; trying to pollinate an armpit. It hit me like a ton of bricks just last Friday. I was sitting at my kitchen table with my sponsee and we were reading through 1 Corinthians 13 verse by verse, taking time to talk about what each verse said to us. As we spoke our hearts and minds to each other, I realized that even though I was her sponsor and even though I had a few more years of sobriety than she did that my place in the journey with her was not to somehow be ahead of her or above her in any sort of wisdom or heightened knowledge. My place in the journey with her was not to be her leader or conscience. My place in my journey with her was to simply walk next to her. And what really amazed me as these thoughts rushed to me was that it wasn’t a struggle to hold myself back so I could walk next to her… I was very comfortable walking beside her because it felt natural and real. There was no pretense, no ego, no pride… just two people beside each other. Is it perhaps that God wants me to treat all people in life with this same approach? No matter who I am with or what I am doing… I am simply walking beside others? Yes… I think that is what God wants me to see and wants me to try to be. I am nothing more than a bee trying to pollinate an armpit if I think for one moment that I have any control over anyone else’s growth – or that I have anything to offer without Christ. It is God who changes the hearts and minds of others… not me. It is God who changed me… not the people who walked next to me. Of course He used them to help me which is what I feel He has called me to do too. But to do that I have to get out of His way, let Him prune the flowers, let Him cultivate the growth and do my best to follow His lead. And as I am all keenly aware of now, armpit pollination leads to one of two things: a lot of pain or death. Dumb bee. I’ve been on a leadership hiatus for awhile, not wanting to make the same ego and pride related mistakes I have made in the past. I felt God calling me to come back to some leadership roles, which I have done but I have been so scared about it. I haven’t even actually begun yet. But with this new realization, I feel a lot less afraid. I’m just going do my best to walk bee-side others and not be a dumb bee. I don’t think there is a person on the planet who can say they have never been hurt by another person’s action (or lack of action). I also don’t think there is a person on the planet who can say they haven’t struggled with forgiving something that seems nearly unforgivable. This may sound strange, but I consider myself rather lucky to have been given the disease of alcoholism, if for no other reason than it introduced me to the Twelve Steps of life recovery. Staying sober has meant I have had to live my life by these Twelve Steps. Now I gravitate toward the Christian version of the Steps which are called the Eight Principles and are based on the Beatitudes. Principle Six is a doozy… “Evaluate all my relationships. Offer forgiveness to those who have hurt me and make amends for harm I have done to others, except when to do so would harm them or others.” The scriptures that are paired with Principle Six are these: “Happy are the merciful.” Matthew 5:7 and “Happy are the peacemakers.” Matthew 5:9. This same idea is covered by Steps 8, 9 and 10 in secular recovery. Back when I went through the Steps the first time, there were some people in my life who I didn’t think I could ever forgive. The hurt was too much and their negative impact on my life seemed too great to ever even consider offering them a pardon. But the more I looked at myself and took responsibility for my own actions and decisions in life, the burden of forgiving others seemed to lighten. Still, there were some I just couldn’t imagine ever letting go. The people by my side told me to just have faith that God couldn’t handle it, all I had to do is pray for the willingness to forgive and some day, it would happen. I trusted them because they had what I wanted (sobriety)… and I pressed forward, asking God (many times begrudgingly) for the willingness needed to forgive. The willingness began to come and like a miracle… I slowly found myself free from resentments because of God’s gift of forgiveness in my heart. But, there was one particular person in my life I was having a really hard time with. He was a past boyfriend who had been extremely abusive emotionally and physically. He had stolen money from me, lied to me, and cheated on me repeatedly. I gave up my college education and family for him to move to Europe and be with him. He was my first experience in dealing with a true alcoholic and I myself had not yet set off my disease. In fact, I didn’t drink much at all back then for fear of his behavior. One of us needed to have our wits about us, and it was usually me. Looking back, so much of that was my decision… I decided to leave everything behind for him, I decided to stay with him after being beaten and discovering his infidelity and lies, I was the one who was so full of pride that I refused to tell anyone, I was the one who was so narcissistic (and codependent) that I believed I could change or “save” him but I was also the one who finally decided to leave him when I had had enough. I am thankful I did, even though it took me well over a year to do it. Over a year into my sobriety, I was told by my sponsor that I had to work on forgiving… him. Wanting desperately to remain sober, I prayed. I prayed more… and then some more. I had learned from my other acts of forgiveness and amends, timing was everything. And more important than my timing, was God’s timing. One day something deep within my soul made me go out on Facebook and look for him… I wasn’t sure what I would do if I found him, but it was at least a step in the right direction. I didn’t find him, but I found his daughter (she was about 3 or 4 when he and I were together). My heart pounded in my chest as I considered what my next step should be. I waited a few weeks and finally I felt prompted to contact her. I knew she wouldn’t remember me, but I messaged her just asking her if she knew how I could get a hold of her father. I also took that opportunity to apologize to her for my selfish behavior when I was involved with her dad. I was extremely jealous of his relationship with her and felt like perhaps that had made things more difficult than they should have been for them at her young age. She wrote me back a few days later. She was sweet and said that my apology was accepted although she felt unnecessary. She went on to tell me that she had not had contact with her father in over five years. In the years that had passed, he had turned to major drug and alcohol use, was unable to hold a job, was homeless and basically a nomad. She had no idea where he was or when she would hear from him again. She told me she would be happy to pass on a message to him if I wanted her too. I apologized for her pain in dealing with her father and thanked her for getting back to me but just left it at that. No message needed. In the hours after reading her message, something very strange occurred in my heart. All the hatred I had for this man who had been so horrible to me began to be reshaped. I was overcome with a deep empathy for where he was in his life. My heart ached for him as I looked at my own past and pain and knew exactly what he must have been feeling within himself. I understood the disappointment and self loathing, the endless cycle of wanting to be free and the inability to achieve it, the sense of loss, sadness and anger that addiction manifests within the addicted. I fell to my knees in my living room and began to sob uncontrollably. For the first time in the years since our relationship ended I realized I didn’t hate him… my heart had been overcome with compassion for his plight. I’m not sure how long I cried, but I know it was for awhile. I remember praying for God to find him and heal him the same way God had found and healed me. It was in those moments I felt forgiveness wash over me and in an instant the impossible was complete. It was a true miracle, a gift from God… to this day I have no harsh feeling toward this man. 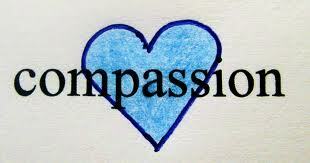 The forgiveness I found through compassion healed my wounds and I have only God to thank for that. Thank you Lord! But the story doesn’t end there. Something even more amazing happened two or three weeks later. It was a normal day and I was checking my email while drinking my morning coffee. My heart stopped when I saw the name of the sender on one of the messages waiting for me… him. I hadn’t heard from him in over 15 years and I have to say I was scared to open the message and read it. Each time I had heard from him in the past since our relationship ended, it had been threatening in some way. I wondered if I should delete it… but instead, I opened it. My jaw dropped open as I read his message. He explained that a few weeks earlier he had found himself at rock bottom and with God’s help he entered a 12 step recovery program. He said he was working the steps and it was for this reason he was contacting me. He had Googled me and found my website and got me email address from there. He then apologized for all the things he had ever done to me and humbly asked me for forgiveness. He was Step 9’ing me… “We made direct amends to people we had harmed…” I had done this very same thing to many people but never had anyone done it to me. I thought about the timing of all of it and was brought to tears again. Because of my obedience to continue searching for willingness to forgive him, because of my obedience to the prompting to reach out to his daughter, because of the information she shared with me… God had granted me the compassion I needed only weeks early to be able to completely honestly email him back that very day with these words, “I accept your apology and all is forgiven. In fact I forgave you before you even asked. Good luck in your recovery.” In addition, I wondered if my prayers for God to reach him and intervene might have been a catalyst to him finding recovery only a few weeks later. I’ll never know, but I do know this… prayers work and God can do anything. Here I am years later, still working on my recovery. It’s kind of like an onion… you peel one layer off only to find another one underneath that needs to be worked on. I’m not sure how many layers I have peeled so far (at least 3), but I know this… there will be another one when I’m done working on the one I’m on now. Recovery is a life journey that is for anyone, not just the addicted. It has helped me be shaped into a more Christ like being. My current layer is very private and I have to say has been my most difficult to date, sexual repression. There are many times I don’t even want to work on it, but God tells me there are lies buried deep within my soul that need to be brought into the Truth and Light. He tells me not to be afraid and I am trying to be obedient to His promptings… and last night I had a very similar experience to the one I just wrote about. Last night I wrote a letter to a guy whose carelessness with me caused me a lot of pain which then set in motion a path for me that eventually turned into my current state of repression. Of course I recognize I have fault and blame in the situation too, so I’m not just pointing the finger at him (there are certainly three pointing back at me). I wrote the letter not knowing if I would actually send it. I wrote it because I felt like God told me to. When I was done, I felt some freedom. I decided to look this guy up online and see if I could find him. He wasn’t on Facebook or Myspace. He wasn’t listed anywhere I could find but something inside me told me to keep looking. Somehow I managed to get just the right keywords on Google and finally find something about him. What I found shocked me… and it wasn’t pretty. It was the type of thing that brought me to an understanding and empathy of his own situation in life. It brought me to compassion, and from my experience… full forgiveness is not far behind. I’ll finish up by saying this, there are a few people in my life I have not allowed myself to be angry at. I suppose I have thought it wasn’t appropriate for me to be upset with them so I have not allowed myself to feel ugly feelings toward them. When I have been angry, I have ended up feeling guilty for that anger and the guilt then makes me shut the anger out and tell myself “I forgive them… its okay.” But I have learned recently that this approach doesn’t work for me. I have learned that it is okay for me to be angry or upset with anyone who hurts me, no matter who they are. I feel it is important to let others be who they are, but at the same time, I need to let me be who I am too – as long as it doesn’t lead to sin. I decided a few months ago that I was finally going to let myself be truly angry at a person I have never allowed myself to be angry at before. But I did this with a condition… that I would not do so with the intent of staying angry forever. I would do it with the purpose of finding freedom through the anger with God's help. After several weeks of anger, I began to pray for God to help me forgive. I even asked some other people in my life to pray for God to help me find the willingness to forgive… and what has happened since has been nothing short of the hand of God answering prayers. Answers have come to things I didn’t realize, understanding has been presented to me by pure “accident”, my heart has softened and the door of forgiveness has begun to open. I am so very thankful and again in awe of God’s wonder. One thing is for certain, forgiveness is a process. Sometimes it takes longer than others but it always begins with one thing... finding the willingness to try. If God can forgive me for all my crap, then who am I not to forgive others… no matter how heinous the offense.